Thankfully for PS4 fans around the world, timers everywhere can begin counting down to launch day. Unfortunately for Europeans, Aussies, and New Zealanders, they have to wait two weeks longer than North America. Today’s conference was ripe with tons of additional news. Thanks to GameSided.com, we have a full rundown of the big announcements from today’s conference. Today Sony held their gamescom conference, in which they revealed the release date of the PS4. Above is a link to the entirety of the conference, but here are some of the highlights from the event. There are a lot, so we’ll cover them in quick succession if you don’t have 90 minutes to watch the video. –Gran Turismo 6 starts off the gamescom showcase, showing what appears to be almost real-life vehicles. It will be coming to the PS3 on December 6th, 2013. Also, a feature film is in production based on the Gran Turismo series. –LittleBigPlanet Hub will be a free-to-play game launching later this year to little appraise from the crowd. It will serve as free access, allowing you to create levels and maps, but also mentions that you can “buy other fun stuff at the touch of a button.” It seems like it will follow Project Spark’s F2P model in giving you an entry pack and allowing you to but further content as it is released. –Grand Theft Auto V will be coming in a PS3 bundle, which is not new information. What is news is that if you pre-order GTA V through the PlayStation Store, you will get 75% off of other Rockstar Games titles, as well as DLC. That’s a nice bonus. –PS Vita got a huge shout out at the proceedings. The biggest news from the discussion of the handheld is that the PS Vita finally got a price cut. It will run at $199 in North America and 199 Euros, as well as a drastic reduction of the price of memory cards. –Murasaki Baby was announced at gamescom as a PS Vita title that utilizes the Vita’s touchpad. It looks like the art style of Machinarium with a bit more color and plays like a platformer. –Big Fest was announced as a free-to-play music festival simulator for the PS Vita, with a twist. Sony has partnered with Jamendo to bring real, unsigned bands and their music catalog to the game. You can then promote these bands in your own festival and share it with friends and online strangers. Who knows, you could be responsible for helping the next supergroup reach fame through a video game. Both Murasaki Baby and Big Fest show just how varied the handheld’s games can be. 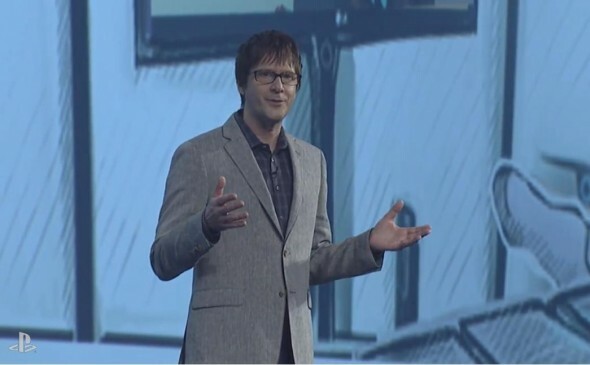 –Mark Cerny, PlayStation 4 architect, spoke about the console. A graphic behind him displays “designing the world’s most powerful console” as Cerny states his drive to make a console 10 times more powerful than the PS3. 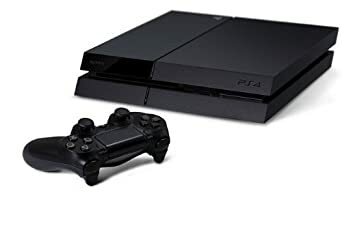 It is also noted that the PlayStation 4 will support Unity for game development, self-publishing and have been working with innovative teams to make bringing games to Sony much easier to accomplish. -The following games will be making console exclusive debuts on either the PS4 or PS Vita: Rogue Legacy, The Binding of Isaac: Rebirth, N++, Volume, Guns of Icarus Online, Wasteland Kings and Hotline Miami 2: Wrong Number. A full list is detailed here. –Michael Denny announced that Sony Worldwide Studios and its 14 gaming subsidiaries will play a key factor in the growth of the PS4. Sony Santa Monica, Naughty Dog and Media Molecule are working on unannounced titles for the console. He also announced Everybody’s Gone to the Rapture with a short trailer. The game is a spiritual successor to Dear Esther, so expect a story-driven title. RIME was also announced to be coming to the PlayStation 4, which looks like a cross between Ico and Zelda Wind Waker, stylistically. Helldivers, Resogun, a PS4-exclusive re-imagining of Shadow of the Beast and Playroom information was all revealed in an onslaught of gaming news. –Twitch.tv will be coming to the PlayStation 4. You can use the in-system streaming device to stream gameplay directly to followers, reducing the potential need for capture devices like Elgato. Furthermore, Sony Computer Entertainment Europe president Jim Ryan announced brokered deals with European ISP’s to bring exclusive internet bundles with gaming in mind, including 200 mb/s packages. –Sony Music Unlimited will be available on PS4 launch. It will allow you to play games and music at the same time. –PlayStation Plus will be given a 14 day free trial to all new PlayStation 4 owners. Doing so near launch will give you Instant Gaming Collection access to DriveClub and Resogun. PS+ will also provide Assassin’s Creed III for free in September. -A Watch_Dogs movie is apparently in the works. WHY? Nobody knows. They also showed off PS4-exclusive content in a trailer. -Viewers were shocked to find out that Minecraft is coming to the PlayStation 4 at launch. It was assumed to be an Xbox One exclusive before. Also, War Thunder will be console-exclusive to the PS4. -Andrew House hit the stage, which could only mean one thing. That’s right, he brought the thunder with a $199 12 GB PS3 bundle, PS4 cross-gen discounts for owners of the PS3 copies of certain games, over 1 million pre-orders of the PS4, a devilishly fun jab at the Xbox One’s constant changing of console message and a PS4 release date of November 15 in North America and November 29th in Europe. With that, the event came to a close. IGN also happened to pick up on “Magma Red and Wave Blue” alternative PS4 controllers for sale at the end of the year. Now if they only provide multiple launch colors for the PlayStation 4! Either way, that’s it for a big day in video game conferences. GameSiders, what was your favorite part of the announcement today? The November 15th release? PS Vita price cut? Let us know below!